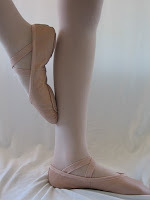 It seems like every Little girl wants to be a ballerina or dancer at some time in their life. Maybe it was the 1st time they experienced The Nutcracker, or saw The Rockettes at the Radio City Christmas Show, or watched Angelina Ballerina. Whatever the reason is, if your child has a desire to dance The Edgewater Community center is providing you with a great opportunity to cultivate that desire. Local Dance Instructor Maureen Strab will be holding classes for kids starting as young as three. The end of the session will culminate in a final performance providing an opportunity for your child to showcase what they have learned. Dance offers more benefits than just providing an outlet for burning off some extra energy. It encourages the student to use their imagination and creativity through expressive movement. Broadens your child's knowledge of the arts. Hones motor skills, balance, flexibility, and coordination. Is a great way to exercise and have fun at the same time. Provides a venue for your child and you to make new friends with shared interests. Maureen Straub is a performer, teacher, and choreographer in the tri-state area. She graduated from the American Musical and Dramatic Academy in 2001. She has performed professionally in NYC, national and international tours, regional theatres, Children's DVDs, and even a documentary. Her choreography has been featured at many venues including the world famous Kennedy Center, Lincoln Center, and the Bergen PAC. Currently Maureen is working on a documentary, called ICONS, in which she plays Judy Garland and is also the choreographer. She has performed with legends Ben Vereen and Ann Reinking. Maureen loves everything about the world of the arts. She enjoys passing on her knowledge and passion to the next generation.